It’s back! 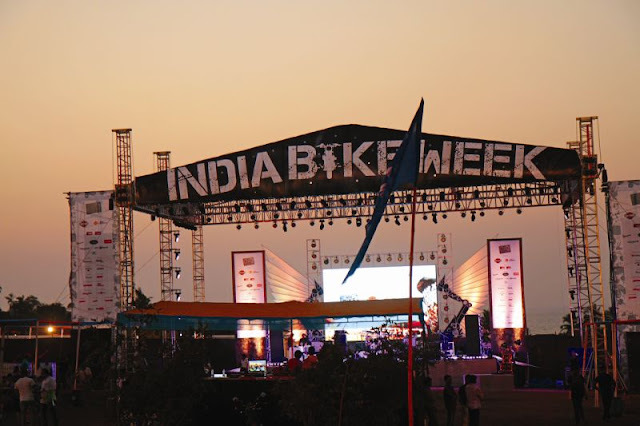 Asia’s biggest biking festival – India Bike Week – is all set for another edition, with IBW 2016 set to take place on the 19th and 20th of February 2016 at Vagator, Goa, and now, the 25% discounted early bird tickets for the event have gone on sale with the event’s ticket partners BookMyShow. This, the fourth edition of IBW is going to be bigger and badder than ever before with live bands, movie screenings, the Bikini Bike Wash, the National Custom Bike Build-offs, and National Stunt Championship as per usual. Couple that with a slew of new launches, custom and vintage bike displays, and sessions with international biker legends, means there’s going to be enough biking fun for everyone. For the first time ever in India, there will also be an IBW Main Street which will feature a biker carnival parade. Not only that, there will also be the Hard Enduro Challenge, and the meeting of the arts with two-wheelers at the Moto Art Collective, and, of course, Bike India will be there along with all the biggest manufacturers from around the world, with an expected crowd of over 15,000 of India’s most passionate motorcycle enthusiasts. These discounted tickets are available only till the end of this month, i.e. 30th of November 2015, so grab them before the offer runs out, and we’ll see you on the sun-kissed beaches of Goa and India’s biggest biking carnival in February.